How much is your dead cat worth? First of all, I have sad news to report. A couple of weeks ago, our cat Rufus (who many of you will know from Planet Germany) was run over by one of my neighbours. He suffered multiple pelvis fractures – and although he underwent an operation to pin the bones back together, he didn’t recover. Rufus, terroriser of rodents, shredder of soft furnishings, sunbather supreme is no more. Now that I have become German, of course I knew better than to leave the matter there. After all, I had suffered a loss. Someone should be sued. More to the point, there was a small matter of a substantial four-figure vetinary bill to be paid. So after discussion with my neighbour, she reported the accident to her insurance company and I filed a claim. Yesterday I received a response from the insurance company. 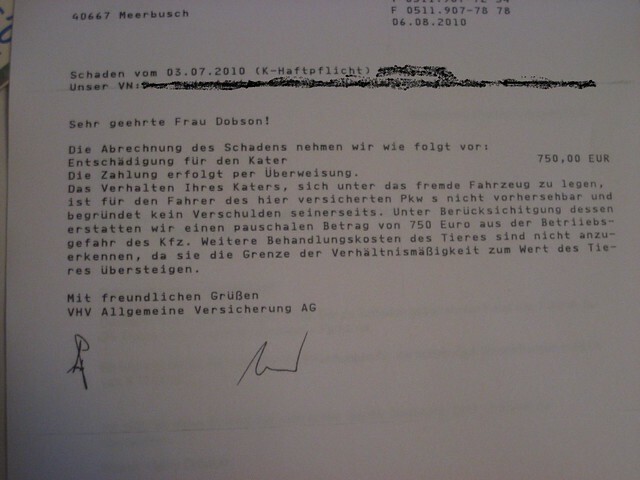 For those who don’t read German….it explains that the insurers are willing to pay €750 compensation for the loss of the cat. However, they blame the behaviour of the cat himself, in lying down under the wheels of the insured vehicle, as the cause of the accident and therefore accept no liability. They are unwilling to cover medical expenses of the cat over and above this figure, as this would exceed the total value of the cat. First of all… is €750 indeed the value of a cat in Germany? If so, I should never have had my female cat neutered! I could have made a small fortune from her offspring! How do they arrive at this sum? Does each cat have to be dead before I can claim it? 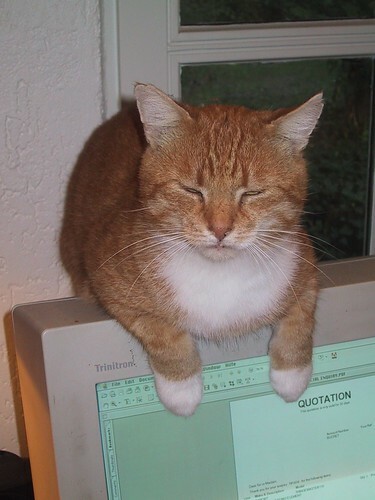 Second, are cats held legally, morally and financially liable for their actions in Germany (i.e. more liable than say, motorists…)? If a child had been run over, would the medical costs have been paid for (almost certainly)? Are cats therefore deemed to be more intelligent/responsible than children? Third. Given that no financial support is forthcoming for medical treatment for the cat, what should I in fact have done? 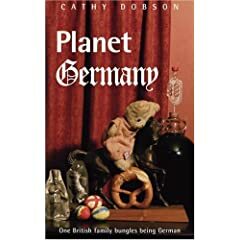 To fail to take the cat to the vet would have counted as animal neglect or animal cruelty in Germany – a criminal offence. Should I have risked jail by not treating the cat? 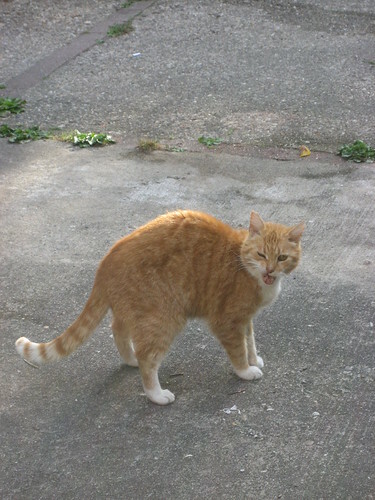 Or does the insurance company think I should have asked my neighbour to reverse back over the cat, just to make sure…. What would poor old Rufus have said to the insurers? And I thought it was just the Americans who sued at the drop of a hat. Do you have that rechtschutzthingy? Can anyone recommend a decent company to get it from? I do have a Rechtschutzthingy… from Allianz. Don’t all Germans have one? How else could they sue at the drop of a cat…er…hat…. Just when you think things couldn’t get any weirder…sheesh. Sorry to hear about your cat though. That is just insane, how is the value of a cat dead more than one alive ? however it really is sad that you lost your friend in this way. You don`t need to be a lawyer to realise that this sentence can mean almost everything. Most pets are worth next to nothing, financially speaking. In one recent court case an expert witness stated that your average cur is worth about 50 € when in top shape. Older dogs (and of course cats) are worth significantly less. You`d probably have to pay more just to have the poor thing put down. So how much is to much? It depends on the circumstances of the case, that`s what lawyers and judges will tell you. The simple truth is it depends on whoever decides your case. From a claims adjuster / judge with a pet they love like a child you`ll probably get a whole lot more than from somebody who never owned an animal. Only if you indeed do have a Rechtsschutz-versicherung you might consider sueing because there is a chance to get higher compensation. Even though legal fees are rather moderate (depending on how much more you claim) you shouldn`t take the risk without insurance as there is no “right” amount of compensation. You could try to negotiate with the adjuster though. Sometimes you can get a little extra that way. I am not a lawyer, and anything that follows might be completely wrong. You seem to be in violation of §5 TMG, mandating that everyone who operates a website on a regular basis (“geschäftsmäßig”) for the general public has to give out specific, personal informations, including but not limited to the name of the person who is responsible for the service, their addresses and telephone numbers as well as an email address. This information has to be readily available and easily findable (usually under a link “Impressum” that is above the browser fold), and has to be accessible to disabled people (thus not being “hidden” within an image, rendering it useless to braille monitors). We call it “Impressumspflicht”. Not adhering to it can result in a fine to up to 50.000 Euro as well as civil lawsuits. Does that apply to a private blog written in English and hosted in the USA? A character in a Salinger novel (I believe Seymour) said he wanted to be a dead cat, since it had no value, and could not be given a value, striking somewhat of a Buddhist mantra. I grieve for your cat, and think that the insurance company is in poor taste. Many years ago there was a child hit by a car at the SBahn crossing near my children’s school – maybe an bike rider? – and although the child had to go to hospital, we heard that the driver of the car sued the child’s parents for damage to the car.